Citroen C4 Cactus Arsenal Edition - 11 units only! Home » Cars » Citroën » Citroen C4 Cactus Arsenal Edition – 11 units only! Citroen C4 Cactus Arsenal Edition – 11 units only! Now that Arsenal has self-ejected itself out of the title race, here’s something to momentarily put a smile back on your face, fellow long-suffering Gooner. 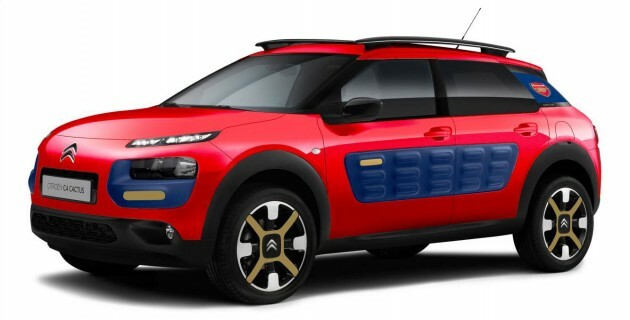 Citroen will produce a special Arsenal edition of the forthcoming C4 Cactus. Limited to just 11 units and kitted out in the red, blue and gold shades of the Arsenal crest, the C4 Cactus Arsenal showcases new tech, too. The integrated dashboard console will feature Citroen’s new Geo Organised Away-day Location, Information & Entertainment interface, or G.O.A.L.I.E. 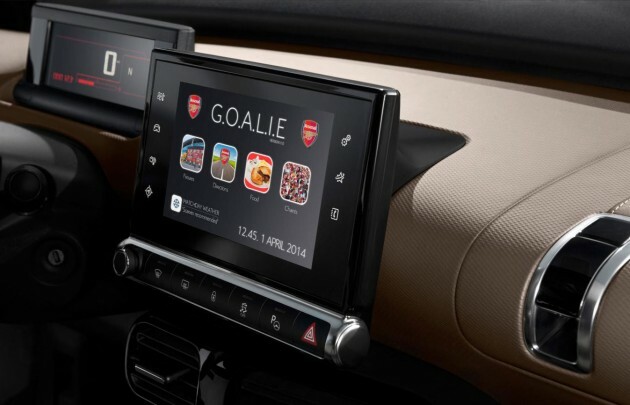 The touchscreen system is preloaded with all of Arsenal’s away fixtures, including directions to the matches, a database of pie and mash vendors and a music playlist of rousing football anthems to sing along to. Na na na, Na na naaaa, Na na naaaa, Giroud! “We think Mr Wenger and the team will be delighted with this new special edition. As Official Automotive Partner to Arsenal, Citroen is always looking for new ways of celebrating our relationship. With the new fan-focused in-car technology, we think this model is pitch-perfect for the dedicated Arsenal supporter,” said Joseph King, head of Citroen UK’s special projects division. Avina Jolie from Citroen France added: “On espère que tout le monde a reconnu que c’est une petite blague de notre part. Sinon, et si vous parlez français ou si vous utilisez un service de traduction, il faut dire que cette histoire n’est pas vrai. On ne produira pas cette voiture.” Google Translate that yourself. The C4 Cactus Arsenal Edition will be available to order from all Citroen UK showrooms later this year, except Citroen Tottenham. Click here to see more Citroen-Arsenal magic. FA Cup, here we come! Happy April Fools to you Danny! hahaha…only 11 wil b made…ironic bcos dats the exact number of points thy wil b off the top of the premier league ! !